When young doctor Edward Newgate (Sturgess) arrives at Stonehearst Asylum in search of an apprenticeship, he is warmly welcomed by superintendent Dr. Lamb (Kingsley) and a mesmerizing woman by the name of Eliza Graves (Beckinsale). Edward is intrigued by Lamb's modern methods of treating the insane until a series of unusual events leads him to make a horrifying discovery, exposing Lamb's utopia and pushing Edward to the limits of his conscience. 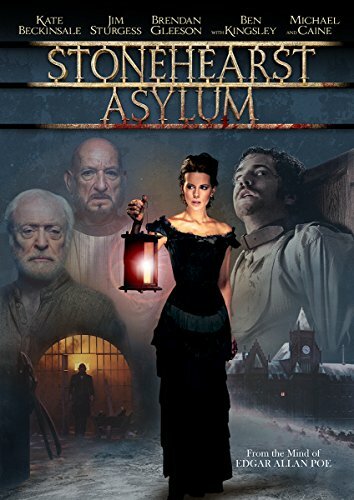 Inspired by a short story from Edgar Allan Poe, Stonehearst Asylum is a tale in which nobody is who or what they appear to be. Also stars Michael Caine, Brendan Gleeson and David Thewlis. Stonehearst Asylum is produced by Mark Amin and Bruce Davey with Christa Campbell, Lati Grobman, Mark Gill, Cami Winikoff and David Higgins serving as executive producers.